These FPGA boards include 1 Xilinx® Kintex® UltraScale™ FPGA with 64 High Speed Serial connections performing up to 13.1 Gbps. There is one 72-bit QDR-IV SRAM interface clocked up to 800 MHz. There is also an on-board dual ARM CPU running up to 766 MHz which can be used for local application requirements. It is accessible over backplane PCIe or Ethernet and provides dedicated AXI interfaces to all FPGAs. It is also used to query board health like FPGA temperature and power. It is connected to the OpenVPX control plane via 1GbE. There is an on-board PCI Express Gen3 switch that provides connectivity between the FPGA, backplane data plane connections and Zynq CPU. With 2 backplane 4x Gen3 PCIe ports, it is possible to “daisy chain” slots together to create a PCIe bus without the need for a separate switch. In addition, there are 9 backplane HSS connections. 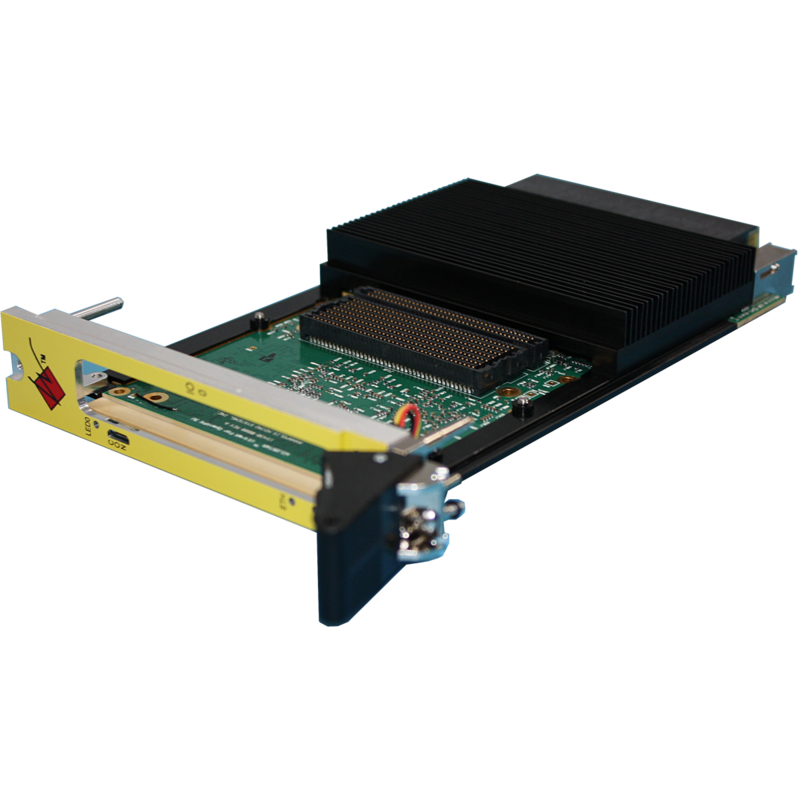 With included High Speed Serial (HSS) FPGA cores (including 40GBASE-KR), there is up 20 GB/s of bandwidth on the VPX expansion plane which can go directly to other VPX cards, a switch or RTM, depending on backplane topology. When using 40GBASE-KR, there is the added reliability of Forward Error Correction (FEC) to achieve a much lower Bit Error Rate (BER). WILDSTAR UltraK FPGA boards are hot swappable allowing for more system reliability. This feature is unique to Annapolis and was developed because our experience with OpenVPX systems has shown it invaluable so a whole chassis does not need to be shutdown to remove a single board. Allows data plane “chaining” of PCIe bus between adjacent slots. No dedicated PCIe switch slot needed.